Supernatural horror sequel directed by David F. Sandberg which follows the tale of a dollmaker and his wife, Samuel and Esther Mullins (Anthony LaPaglia and Miranda Otto), who several years after the tragic death of their little girl, decide to open their home to a nun, Sister Charlotte (Stephanie Sigman), and several girls from an orphanage that has been closed. Very soon, however, they become the target of the dollmaker’s possessed creation, Annabelle. Janice: This is our new orphanage? Nancy: It’s as big as a castle. Samuel Mullins: Feel free to use the house as you see fit. Mrs. Mullins and I stay down here. Your rooms are upstairs. Samuel Mullins: It’s locked, and it stays that way. Janice: You’re Mullin’s daughter, aren’t you? Anabelle: Will you help me? Janice: What are you doing? Linda: Janice says she’s seen your daughter. Samuel Mullins: My daughter has been dead for a long time. Esther Mullins: It was quite for all these years. After Samuel and I lost our daughter, we prayed to see our girl again. The contact started small, but then she wanted permission to move into a doll. We soon realized it wasn’t our daughter. So we locked it away. We thought helping the girls could be our penance. But we ended up giving it just what it wanted. Esther Mullins: She was taken from us at an early age. We prayed to see our beloved girl again. The contact started small, but then it wanted permission to move into a doll so that it could be with us forever. We said yes. Janice: Sister, it’s coming after me. Janice: An evil presence. It’s because I’m the weakest. Sister Charlotte: Are you okay? Janice: [looking evil] I’m fine. Linda: Janice found this doll. Linda: The one in the white dress. Samuel Mullins: She mustn’t go near that doll! Esther Mullins: It’s the doll. A devil. Janice: Forgive me, Sister, for I have sinned. Linda: This doll, it’s hurting Janice! I’m getting rid of it! I can’t believe this is the review I’m writing for this film, but Annabelle: Creation is awesome. After the huge disappointment that was the first Annabelle, I had no intention on seeing this second instalment, until its trailers intrigued me and had me slightly interested. The trailers definitely don’t lie here, because this is honestly one of the best experiences I’ve had watching a horror movie in a long time. In terms of straight-up terror, this film delivers on every front. Here is why I believe Annabelle: Creation deserves your attention in theatres if you plan on seeing it at all. Quite honestly, the first film was about as simple as you could get in terms of storytelling, and while this film doesn’t do many things to differ itself in terms of story, it absolutely makes up for that with its characters. Being set 12 years after the death of the Higgins’ daughter, they turn their house into an orphanage, where six children are to live, accompanied by a nun. Discovering secrets about the couple who lives there, this film very quickly turns into a roller coaster ride of thrills. The characters surrounding these events is truly what made this film stand above its predecessor, because I found myself attached to the main characters by the end, which was mainly due to the fact that there are some outstanding performances from the two leading girls. I was into this film from the very beginning, even though it does have a slow start, but the performances of Talitha Bateman and Lulu Wilson is really what put Annabelle: Creation over the edge for me. This may sound like high praise, but I truly found myself engaged in every line of dialogue they were given. They invested themselves in their respective roles so much, to the point where I found myself thinking I was watching real events being presented on-screen. There are a few moments in particular when they outshine every other performer in the film, and they were the youngest of the bunch. I can’t wait to see more from these two actresses, because they have very bright futures ahead of them. When it comes to the Annabelle doll, the film never once benefits from that aspect. It’s sad to say, but the object that the film is based around, just isn’t all that scary. This is where the first film suffered so much, because it solely relied on the audience feeling unsettled by the image of the doll, offering nothing else to back it up. This time around, it’s the fact that everything surrounding the doll is more terrifying, so you know that you should be ready to be scared whenever the doll presents itself. Yes, you may find yourself predicting certain story elements, but there are some genuinely goosebumps-worthy scenes throughout this film. I will be remembering this as one of the most satisfying horror experiences for quite some time. Maybe not in terms of story, but I can confidently state that this film serves as a better straight-up horror flick than The Conjuring was. It’s definitely not the better movie, but it’s 100% scarier. In the end, this isn’t going to be known as one of the best horror films of all time, or even of this decade, but it’s definitely one of the best you will be able to see this year. There is some great character depth, some truly horrifying imagery that sent chills down my spine, and it has some of the best cinematography I’ve seen in a Hollywood horror film in quite some time. The reason I can give this such a huge recommendation, is due to the fact that people who didn’t care for the first film will more than likely love this sequel in comparison, and newcomers can easily enter this film without having seen the first. Annabelle: Creation is nothing you haven’t seen in terms of jump scares and storytelling, but it invests you in its characters and provides some very nice plot twists to keep you engaged throughout. If you aren’t sucked in by those elements, I trust you will be surprised by how chilling some of the sequences are. 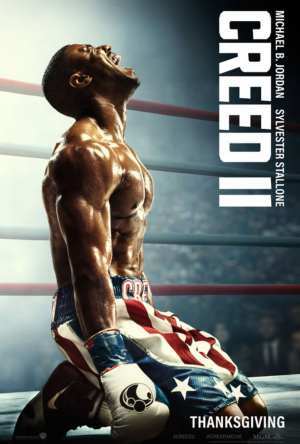 If you were ever planning on checking this film out, I believe it deserves your attention while it’s out in theatres. Empty terror seeks out peace that’s not empty. In return, the peace that’s not empty shares its own condition with the terror that’s empty. After this act of distribution, the terror that’s now changed and acts like peace sacrifices its newfound privilege. Finally, the peace that was inspiring to terror is now forced to sacrifice itself as well, and just give way to the original state of terror that’s empty. The sequence that’s just been described is the overview of Annabelle: Creation. In the beginning, terror that’s by itself turns to its opposite, which by definition isn’t by itself, because peace can obviously co-exist. In order to honour its own condition, peace feels obliged to let terror imitate peace. As the result of this change, terror is now the obligation to co-exist. Of course though, terror being a force which co-exists means to betray its own source of being, which in turn requires that terror simply stop imitating peace. Terror stops imitating peace, but now peace is in the problematic state of knowing that its own nature couldn’t be copied. So what it seems that needs to be taken away from this, is that peace is the paradox of not being able to share itself. And this is a classic type of paradox. Peace is balance, and balance is distance – the theme of Annabelle: Creation is that distance can’t be infinite. Where does distance begin? 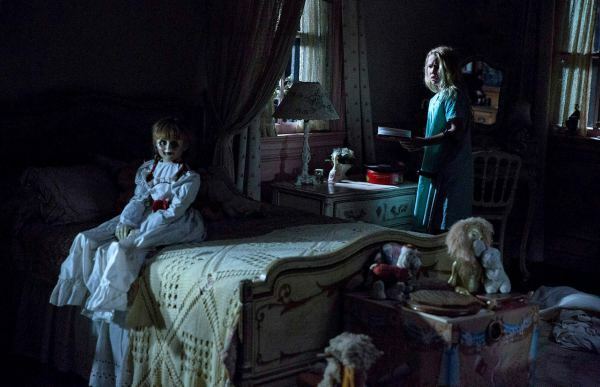 Distance is the central idea of Annabelle: Creation, where incidents that take place are defined by actions related to distance. But where does distance begin? If peace is distance, terror is the absence of distance. This makes terror into the very image of intimacy; intimacy is the spirituality of physical matter, which makes terror intrinsically connected to physical matter being a source of elevation. Distance destroys the elevation, which is what Annabelle: Creation shows. Janice moves into the Mullins farmhouse, along with her group, and her story of terror is seeing images of distance torment images of intimacy. Throughout Annabelle: Creation, it’s where distance ends that’s where the source of terror exists. When Janice uses the stair lift machine, the film makes sure to show the terror being at the edge of the stair lift. When Linda tries to get rid of the Annabelle doll, it’s by the well that’s far removed from the farmhouse where the terror exists. And so on and so forth. Back to the issue of distance and elevation: elevation is purity, which begs the question of why distance is diametric to purity. Purity is the inability to harm, which makes distance into a force which hurts the inability to harm. The inability to harm has no distance. Protection has no distance. But protection implies presence, and presence is divide. Divide isn’t supposed to be synonymous with no distance. However, what if the divide is merely the reality between the protector and the protected? Can the protector protect by divide being understood as the protector and the protected? Instead of divide being understood as related to distance, divide can be understood as the mutual absence of distance and separation. The separation of distance isn’t able to inflict terror, and the terror of separation isn’t real either. The fundamental point: Annabelle: Creation is a story about the protector and the protected not being able to carry out their roles because of the problem of interpretation. Interpretation will cause a force to terrorize another force. David F. Sandberg’s second creation of the coveted Annebelle story. The Christian family, Mullins, comes out of an accident and their daughter is killed in an accident. In the grief of their daughter, Anthony and Miranda seek her in the spiritual world. With luck from their side, they come into contact with a demon of pure evil. They allow the creature to occupy the doll Annabelle, in the belief in their daughter coming back. A Christian children’s home for girls gets a new home at the Mullins family, 12 years after the accidents. With new life in the house, it’s messy in the past, and Annabelle comes to light from many years in hiding. Evil comes to life and nourishes the children’s fear. The movie delivers the classic thrill of what it means, the creaking doors, scary dolls, scary music and most importantly, a dark house with a past. Annabelle 2: Creation binds the entire The Conjuring universe together perfectly. It is in line with the two Conjuring films. And yes, and because that’s a prequel to the Annabelle movie, it’s also quite important that this movie works as a feature of the well-known story. It does! In fact, the story runs in Annabelle 2: the creation, all the way to the beginning of the previous film. Therefore, it would be smart to see Annabelle before seeing Annabelle 2: the creation. This is not a necessity, but in its opinion, it works better. If you’re the person who likes a good horror with supernatural creatures, it’s a movie to watch. Time is spent on showing the physical and emotional framework of history, which helps to make the film better. There has been a lot of time spent focusing on the children, as it has been known in the previous years to be a great success. There are two pages through stories. The cute polite girls against evil are wondering in the dark. This makes the contrast extra violent when exposed to pure evil. The actors in the movie make it all lively and give new energy to the Annabelle movie, which takes place before the original Annabelle takes place. The film has many good scenes. What makes the movie good, within the horror genre, is the narrative and the in-depth details of the actual evil that lurks in the doll. I immediately expected Miranda Otto to have a bigger role in the film, which is being told and talked about her. But it’s only at the end she appears. Anthony LaPaglia is a talented actress who also lives up to the film. His character uses more physical features, which made him feel good. He delivers both unhappiness and mystery over the house and the past. Does anyone know what Sister Charlotte told Janice after Janice said that the evil presence is after her because she’s the weakest? It goes something like, “No, the demon preys after those who are weak in faith. Not those who are weak in flesh and bones.” Or something like that… would love to know the exact quote!